The Sega Forever collection has increased in size once more, with Sega bringing the iPhone and iPad port of classic fighting game 'Streets of Rage' to the free-to-play roster, complete with support for cooperative play across multiple mobile devices. 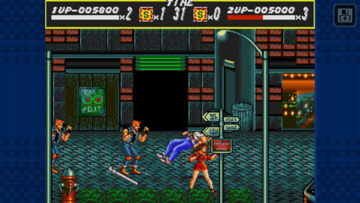 Originally released for the Sega Genesis game condole in 1991, "Streets of Rage" tasked players with fighting crime as one of three police officers, battling across a city to take down the crime lord "Mr. X." Brawling through eight environments, players could work together to get through each level, picking up weapons and health bonuses on the way by destroying objects in the environment. 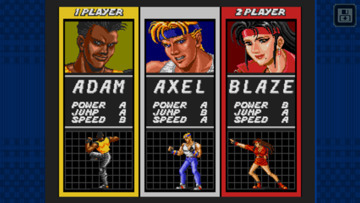 The game features the original three playable characters, each with their own strengths, with players able to select from the powerful Adam, the agile Blaze, and the all-rounder Axel. Just as with other Sega Forever releases, there are online leaderboards, cloud saves, and support for MFi controllers, rather than relying on on-screen buttons. 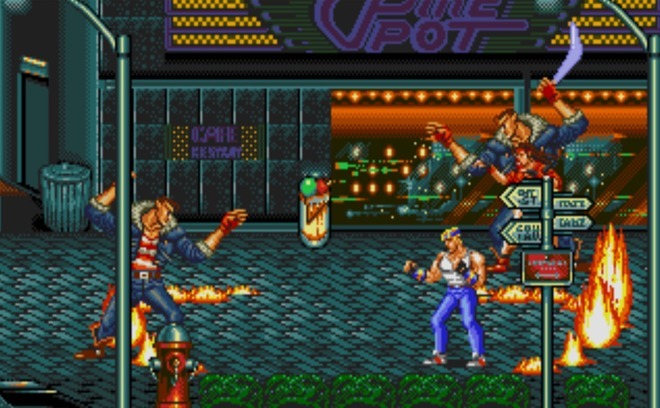 "Streets of Rage" is the first in the Sega Forever collection to include cross-platform local multiplayer, with two players able to use two separate mobile devices over Wi-Fi to fight side-by-side in the same game session. Sega advises it will be adding this multiplayer option to previous releases "Golden Axe" and "Altered Beast" in the coming weeks. The game is a free-to-play title that is supported by advertising, though a one-time in-app purchase of $1.99 will remove the ads. Requiring iOS 8.0 or later and rated 12+ in the App Store, "Streets of Rage" is compatible with all iPhones, iPads, and the iPod touch, with the game requiring 133 megabytes of storage. As part of the release, Sega is also including an iMessage app, which includes stickers based on the characters and items found within the game that users can add to their messages. 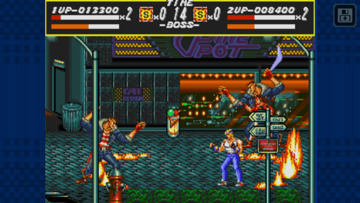 Sega notably pulled a number of its ported classic games from the App Store in 2015, including "Streets of Rage 2" and "Streets of Rage 3," but has since released some of the titles as part of Sega Forever. As they were previously available to play on iOS, it is highly likely the sequels will be reintroduced as part of the program in the future. 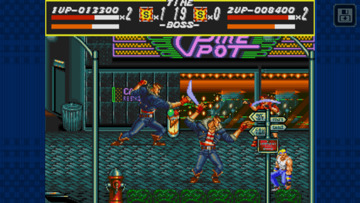 The re-release of "Streets of Rage" under the Sega Forever banner follows two weeks after another well-known game from the company's history. "Sonic the Hedgehog 2" was released as part of the collection on November 21, marking the 25th anniversary of the game's original release on the Genesis console.